Artefacts of Australian Experimental Music: volume 2 1974 -1983 out now. 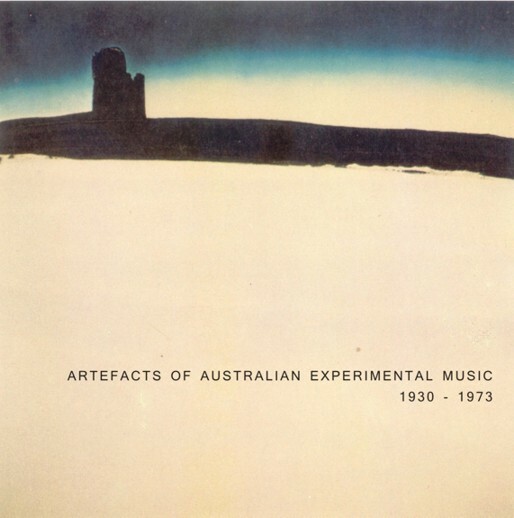 Artefacts of Australian Experimental Music: 1930 - 1973 is a landmark in the historical research of early Australian innovative and exploratory music created and recorded in Australia . Over three years of research by Clinton Green has resulted in this compilation CD that stretches over four decades, a time previously thought by many to be barren of experimental activity in Australian music. Artefacts of Australian Experimental Music: 1930 - 1973 was launched as part of the 8th Liquid Architecture Festival. The Melbourne launch included a panel discussion on the question of whether there exists a tradition of experimental music that influences contemporary practitoners. 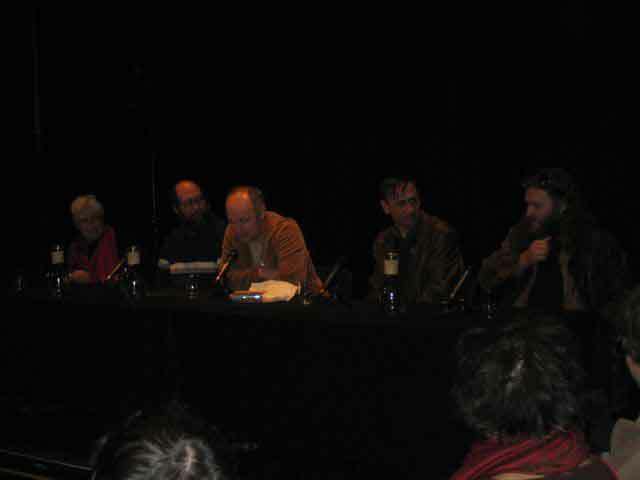 The panel featured (pictured l-r below) Pauline Oliveros, Warren Burt, Clinton Green, Rainer Linz and Robin Fox. Below is the track listing, some sound samples and excerpts from the extensive liner notes that accompany the CD. Sources are available with the liner notes. Ellitt grew up in Sydney in the early decades of the twentieth century, where he met the young New Zealander Len Lye (who would later become an important avant-garde film maker and sculptor). Ellitt later worked with Lye on his films in London from the early 1930s, when Ellitt began to create musique concrete compositions on tape. He wrote, somewhat prophetically of contemporary sound art practice, in 1935, "When good recording apparatus is easily acquired, many people will record simple everyday sounds which give them pleasure. The next step would be to mould these sound-snaps into formal continuity" Ellitt worked in film for many years and on retiring returned to Australia in the 1970s where he continued to work on his sound compositions in private, eschewing attempts from the likes of Stockhausen to contact him. An internationally known composer, pianist and collector of folk music, Grainger was perhaps the first Australian to record a significant body of experimental music. The central idea of Free Music was the concept of a "gliding tone". He worked with Leon Theremin and his theremins in the 1930s in pursuit of this idea. His desire for more precise pitch control led him to work with physicist and engineer Burnett Cross to construct devices that could produce the gliding tones Grainger envisioned. The instrument used on this recording was a reed organ, with two sets of 126 reeds retuned to 48 tones per octave equal temperament. Harmonium reeds were used along with hand cut paper rolls, which were cranked by hand, using variations in speed and direction. In early 1950s Australia, Barry Humphries (best known for his Dame Edna Everage character) was introducing neo-dadaism to Melbourne audiences with his improvisatory music theatre work and elaborate publicly-staged practical jokes. "Wubbo", a pseudo-Aboriginal word for "nothing" was used by Humphries' Dada group to distinguish themselves from their European counterparts. The group's recordings from 1952-3 are possibly the first instances of such experimental work recorded in Australia. Rooney's "Duo 3" is the final section of the three part work 'Duos 1 2 3', played by the McKimm Rooney Clayton trio. It was recorded for the ABC Jazz Club in August 1965, but was apparently rejected before being broadcast because it was too progressive for the program. Each "Duo" begins with two performers interpreting the score, while the third improvises over the top of what the other two are playing. Each "Duo" follows this structure except that there is a rotation of players, so each of the trio takes a turn at improvising whilst the other two interpret the graphic score. 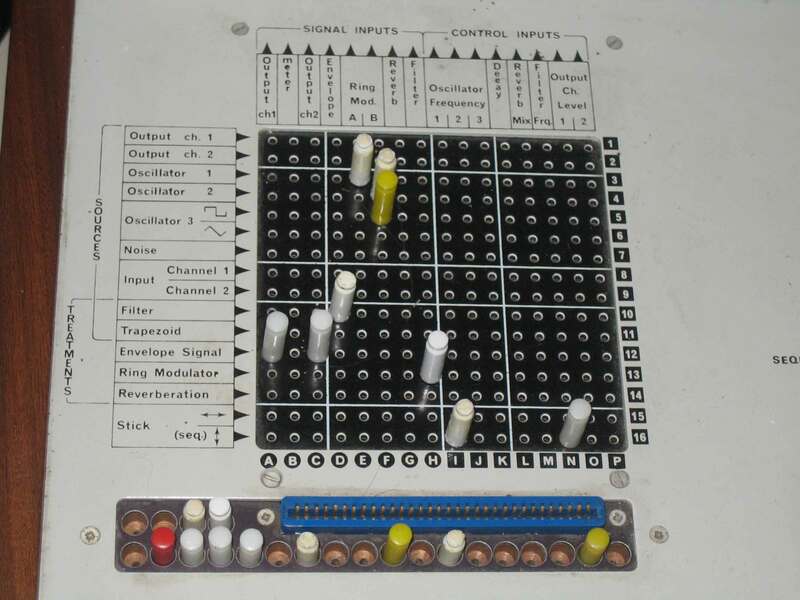 In the early 1960s, intrigued by the electronic works of Stockhausen, Clarke began exploring electronic music. During this time a strike by the Australian Musicians Union led to Clarke creating an electronic soundtrack for a cigarette commercial. 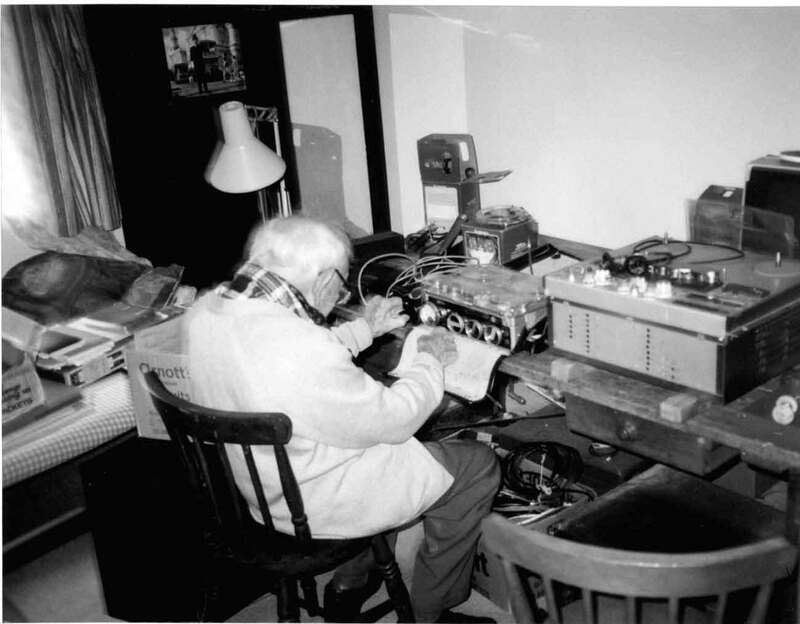 Clarke was one of the first in Australia to work with early synthesisers, including the Moog. "Of Spiralling Why" was one of the first completely electronic compositions produced in Australia. 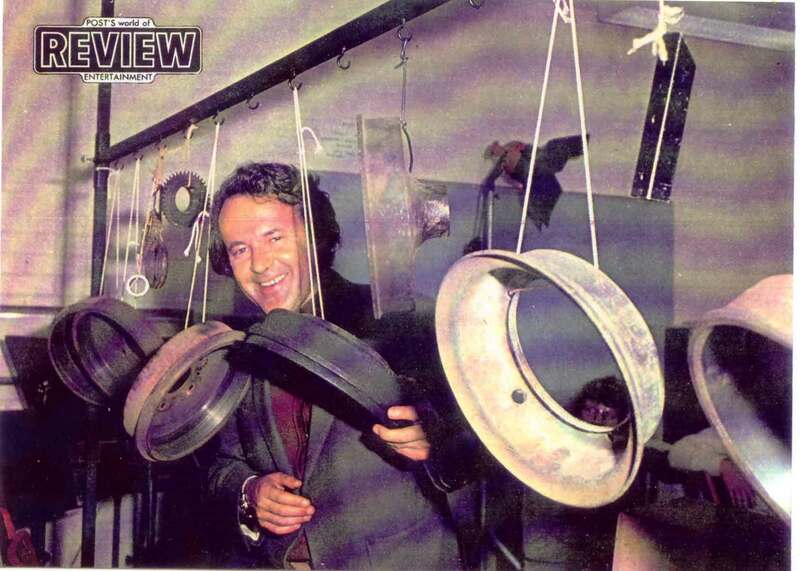 Val Stephen is believed to be the first Australian electronic music composer to be released on an international label. "Fireworks" is one of two short pieces by Stephen included on the Folkways Records Electronic Music of 1967. The piece was created by tape manipulation of everyday sounds. Outside of the McKimm Rooney Clayton trio, Barry McKimm continued to write scores designed as controlling processes for improvisations. He saw such methods as avoiding the repetition and patterning fundamental to jazz improvisation, as well as involving classical musicians in improvisation. "Monotony for Eight Trumpets" is an example of McKimm's work from this period. Syd Clayton's post MRC trio work moved towards music theatre, and he produced many theatrical works that were performed at La Mama theatre in Carlton, Melbourne. Many of these works showed heavy Cage influences and contained elements of music, theatre and ritual. "Yehudi" was the first work Clayton composed for "musicians to become actors", who "speak, sing, clap, act, perform magical gestures as well as playing their instrument". Clayton's compositional form was a game of cricket, where the brass was one team and the strings another. Arthur and Corinne Cantrill have been making films together since the 1960s, initially childrens films and art documentaries as well as short experimental films. 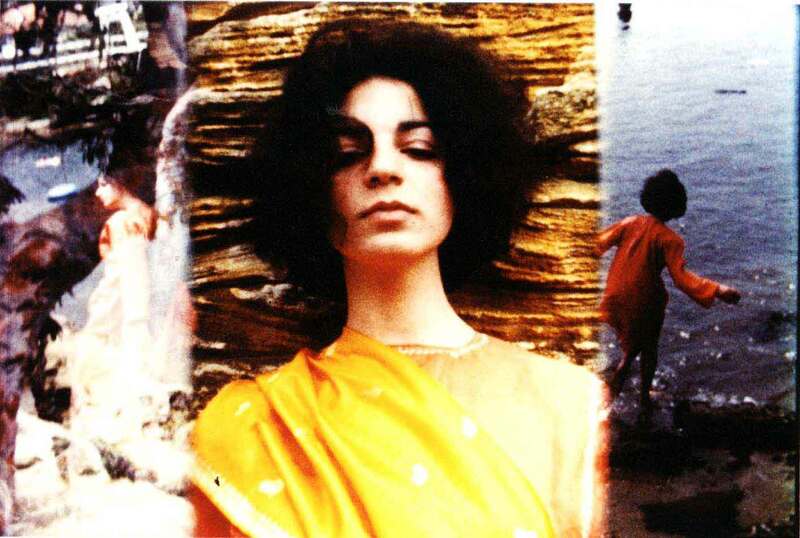 Their "colour separation" films and expanded cinema led the Australian avant-garde film community and also received international acclaim. Many of their early soundtracks were created by Arthur Cantrill using violins, the inside of pianos and tape manipulation. "Soundtrack for Eikon" is for the 1969 film, and consists of a looped soprano note accompanied by two tracks of Cantrill improvising on violin. The sound track is inextricably linked with the films images, which are arranged as a three panel screen, matching the two violins in the left and right channel and the voice in the centre. Tully emerged from the Sydney alternative surf culture in 1968. The following year Tully became the house band for the Australian production of the rock musical Hair, which featured a nightly improvised jam; something which must have bewildered traditional rock audiences. 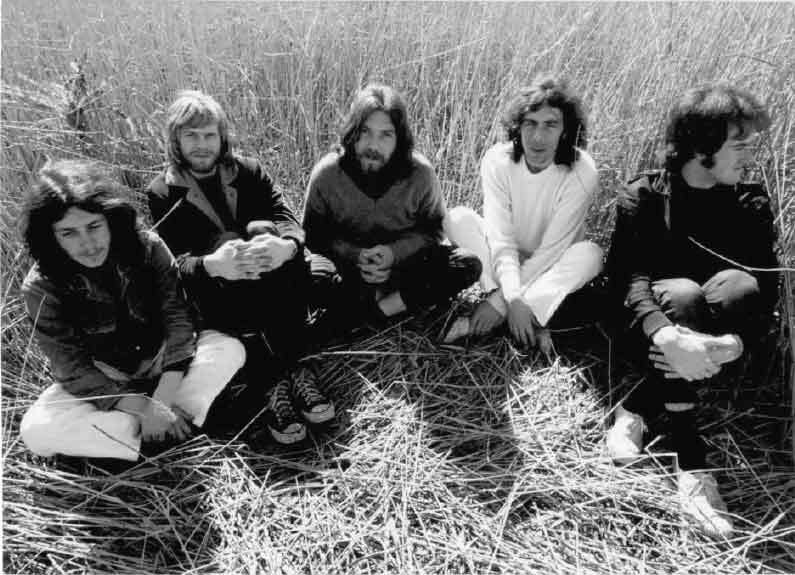 They are reputed as the first Australian rock band to use the Moog. "Phsssst" is from Tully's debut self-titled album. The drones on this track are achieved with tape manipulation. Keyboardist Michael Carlos later joined the pioneering Fairlight synthesiser company. Born in Berlin in 1922, Felix Werder and his father fled the Second World War to Australia in 1940, where he initially spent time in an internment camp. He has been a leading avant-garde composer in Australia since the 1950s. 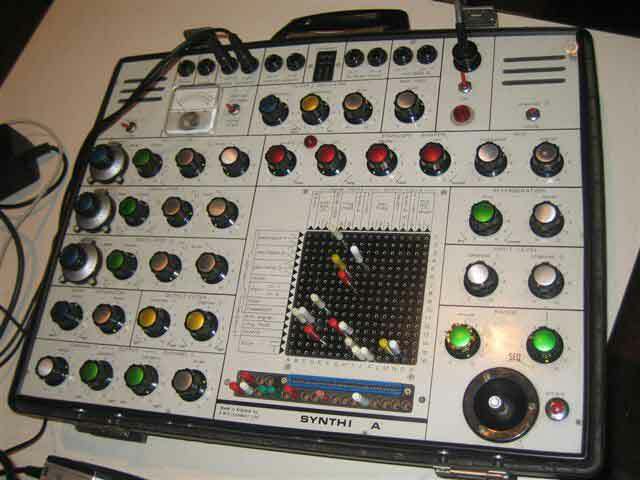 Werder experimented with electronic music in the early 1970s, collaborating with other innovators in this field. "Oscussion" is piece for synthesisers and percussion. Keith Humble's compositional palate ranged from avant-garde music to electronic works to his vast "Nunique" events, but perhaps most significantly Humble mentored several young composers who would form the next generation of Australian experimental music. 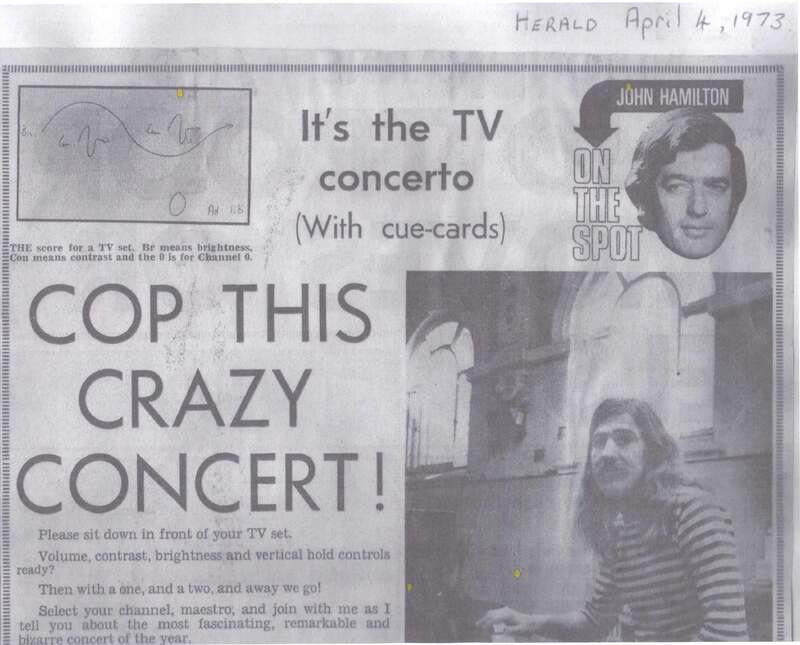 He set the scene in the late 1960s that made the later burst of activity in Melbourne possible, including institutions like the Clifton Hill Community Music Centre. He pioneered the La Trobe University Music Department, which in turn brought another musical 'lightning rod' to Australia in Warren Burt. "And Tomorrow" was recorded in San Diego in 1972. This recording is believed to be a computer piece for an unrealised opera. 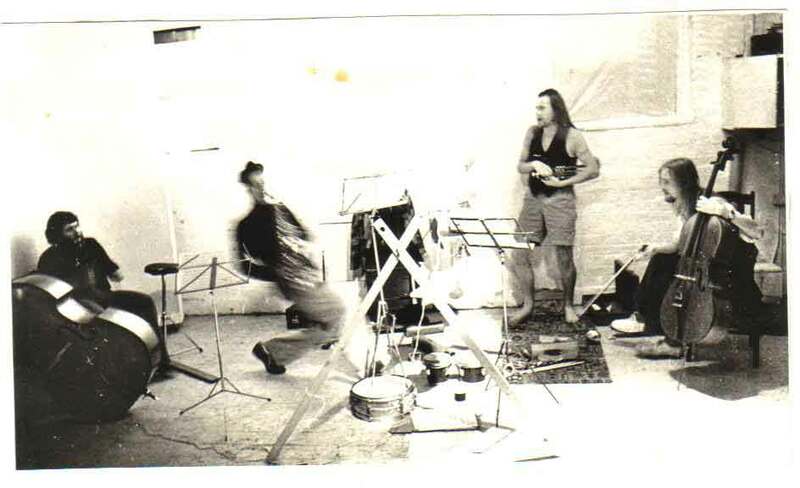 The improvisation group NIAGGRA ("New Improvisors Action Group for Gnostic and Rhythmic Awareness") was formed by a group of musicians largely from jazz backgrounds who wanted to explore different methods of improvisation. Active from 1972 to 1974, the group performed mostly at La Mama Theatre in Carlton, Melburne, between and went through a number of incarnations. "Excerpt #2" was most likely recorded at one of the La Mama performances. Simon Wettenhall (trumpet) recalls the group as an attempt "to provide an environment where instrumentalists could experiment with musical situation; some composed, some purely conceptual and free of the expectations of an audience; but always with a largely improvised component…For us it was more about the ability to respond immediately to what was happening with relevant melodic/rhythmic counter-melody, interpreting and creating out of an ensemble. Music creating itself". Ron Nagorcka went on to be a major influence on experimental music in Australia from the mid 1970s, particularly for his role in setting up of the Clifton Hill Community Music Centre and with his work developing low-tech approaches to composition and performance using consumer devices such as cassette recorders. "Apathetic Anomaly 2", one of Nagorcka's first major works, involved a number of performers who used radios, televisions and record players, directed by a series of flowcharts. "Many of the early pioneers of Australian experimental music have been ignored or forgotten for a long time, and your project will bring to light these important works. I hope your project goes some way towards addressing this gap in the history of Australian music." - Barry Humphries O.A. "Australia is a country that buries its past almost before it occurs in the present. A place with a more developed case of cultural amnesia would be hard to find. In the middle of all this, Clinton Green's Artefacts project stands out as a beacon of the kind of activity we should be having much more of. There IS a past there - one that we can be extremely proud of - and Clinton's project is one important way we can recover it. - Warren Burt.